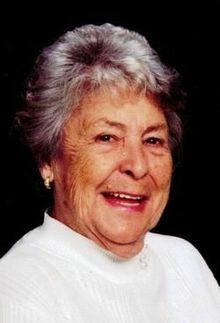 Hope A. Williams, 82, of Jonesboro, GA, formally of Enka, passed away on Tuesday, June 2, 2009 at her daughter's residence. She was a daughter of the late A. Herman and Helen B. Anders. She was also preceded in death by her husband Carroll R. Henson and grandson Chad A. Haney. Ms. Williams was a lifelong resident of Enka until moving to Georgia for failing health. She was the proud owner of Hope's Drive-In (previously known as the Enka Drive-In) and was the manager of the Enka Lake Club for approximately 13 years. Survivors include her daughter, LuAnne Haney and husband Buddy of Jonesboro, GA, sons, Michael Henson and wife Betsy of Charleston, SC, Willis Henson and wife Pat of Leicester, Alvin Henson and wife Brenda of McDonough, GA, Kenneth Henson of Conyers, GA, Thomas Henson and wife Donna of Stockbridge, GA, Charles Henson and Tyler Henson of Conyers, GA, a brother, Ray Anders of Charlotte, 19 grandchildren and 15 great-grandchildren. Funeral services will be held 2PM on Saturday in the Chapel of Faith at Forest Lawn. Entombment will follow in the park. The family will receive friends in the chapel on Friday from 6-8PM. To sign Ms. Williams online guest book please visit www.moorefh.net. Moore Funeral Home at Forest Lawn, Candler(828)667-8717 is assisting the family.